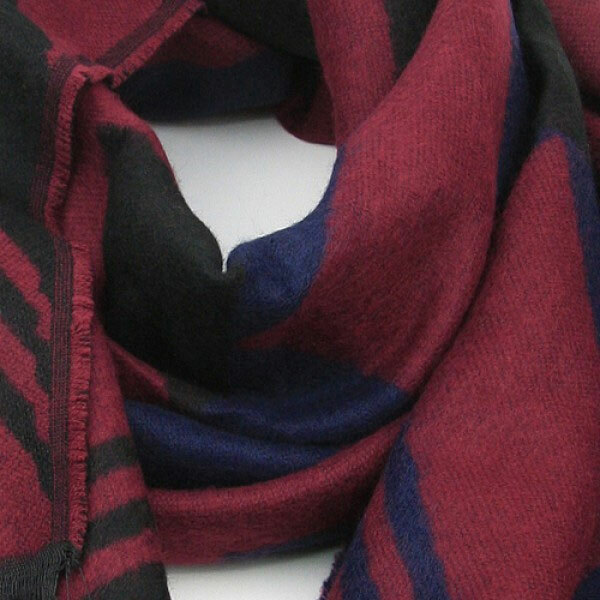 A heavier weight, large, warm and soft scarf for winter days. Being long, there is plenty of scarf to wrap around and snuggle into on those chilly days. 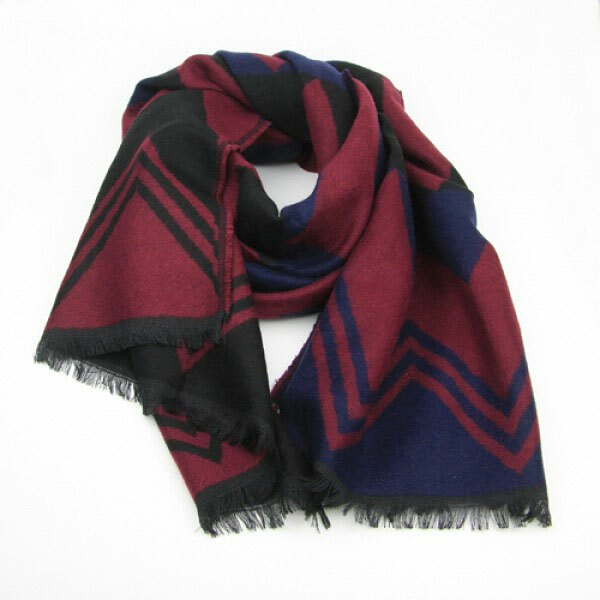 The scarf has a contrasting chevron design of burgundy, dark blue and black. The scarves are approximately 200cms in length x 70cms in width.